Damn, I need this as a poster, not just as stylish art cover for my Blu-ray collection. Sachin Teng has done a masterful piece for the upcoming Rush Hour Trilogy coming to Blu-ray this November. The Wraparound cover has elements from all three movies. Jackie and Chris are ready to fight on the front. 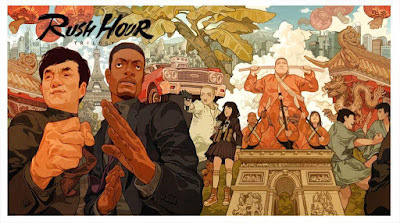 The art comes from a collab from WB and Mondo letting Sachin Teng make her mark. And it's a name you might have seen before as we have covered the shows she's been a part of at Nucleus and Q Pop Gallery. 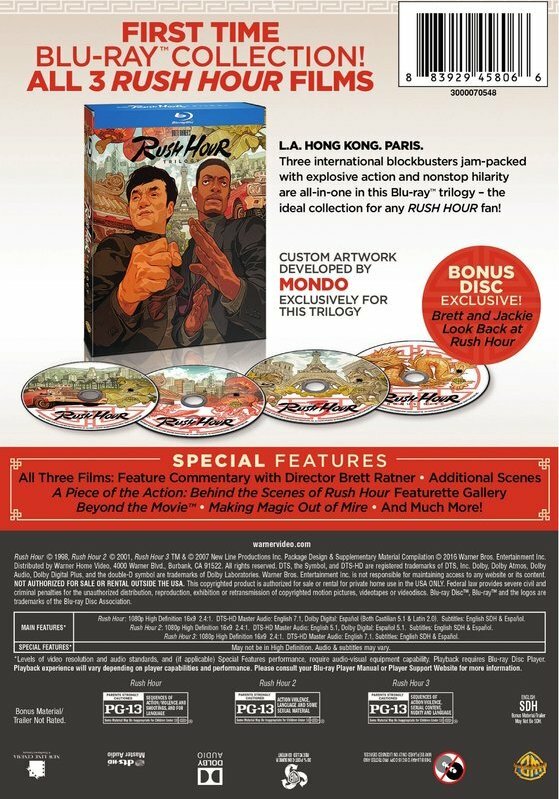 The Blu-ray collection is nothing not to notice with a ton of extras. 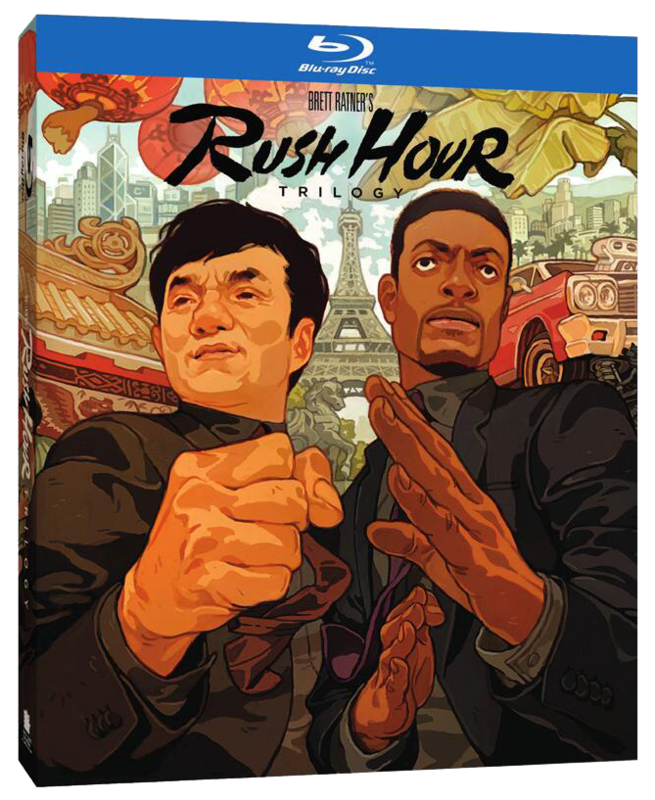 Each movie has a long list of extras, but for this set we get Brett & Jackie: A Look Back at Rush Hour - The director of Rush Hour reflects on his favorite scenes, lines, and moments from the film. Do we wish it was Chris and Jackie, yes, but will settle for Brett.